On April 7, 2010 the Russian and Polish prime ministers stood together, honoring victims of the Katyn massacre. Nobody knew that just three days later, another tragedy will occur, which this time would unite the two countries in grief. 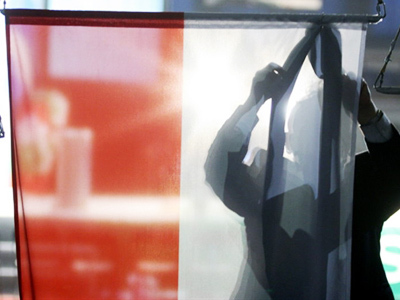 Katyn has become a symbol of two Polish tragedies. While the first, which claimed the lives of 22,000 Polish prisoners back in 1940, can now be referenced only in history books, the second unfolded in front of everyone, broadcast almost in real time. 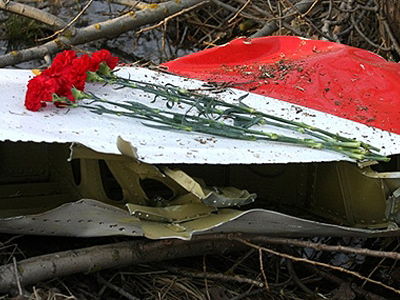 The plane catastrophe, which occurred on April 10, 2010 showed a new generation of Russians and Poles who did not witness World War II, what it is to suffer a national tragedy. 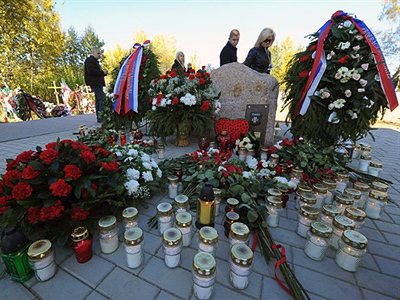 The catastrophe claimed lives of 96 people: 8 crew members and 88 passengers, among whom were the Polish President Lech Kaczynski, his wife Maria, and other Polish top officials. 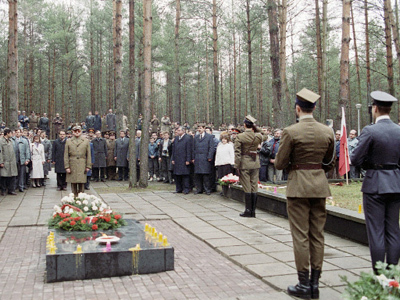 The delegation was going to take part in events commemorating the Katyn massacre. There was, however, a twist of irony, as it was this new catastrophe that healed many of the wounds of the past. The facts, though, were hard to take for some. The crash investigation began to take on political overtones, with attempts in Poland to put the blame on Russia. Some in Poland rejected the Russian investigation report. “This report is a joke for Poland, exploiting the submissive attitude of the government of Donald Tusk,” said Lech Kaczynsky’s brother Jaroslaw. Polish defense analyst Wojcech Luczak agrees with Jaroslaw Kaczynski’s evaluation. “My claim, my accusation, and I would personally ask that question to air traffic controllers: why were they not so hard to press the crew?” said Polish defense analyst Wojcech Luczak. However, the country’s Prime Minister Donald Tusk called for temperance. The transcript of the pilots’ last words show there were multiple warnings from the Russian air-traffic controllers not to land in thick fog and to head to a reserve airfield. They could not forbid the plane from landing because that would have been against international aviation law, but Poland wants further investigation. History suggests Russia and Poland may take their time to settle their differences, especially against the background of a tragedy. However, such a high price was paid for the recent reconciliation that even skeptics realize it would be a shame for it to be tainted once again by division and scapegoating. 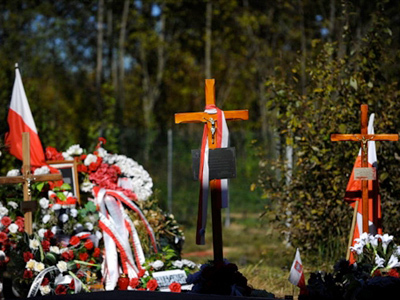 ­According to political commentator Sergey Strokan, the disagreements between Russia and Poland over the plane crash investigation is all about Polish domestic politics. ­The TU-154 plane crash came as a terrible trauma for the Polish people, and in general did not help to improve the relations between Moscow and Warsaw, says Fred Weir from the Christian Science Monitor. It challenged the leaders on the both sides to rethink their positions, and they did. “Now we can say we have mostly passed that, and the relationship is on a fairly constructive footing,” observes Weir, though he does not find there has been radical change in them. 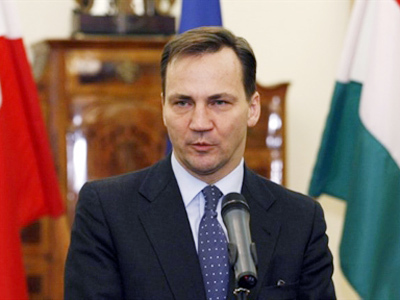 Poland’s doubts towards the result of the plane crash investigation rather come from historical prejudices than from real facts and figures, thinks Weir. “For centuries they [Poland and Russia] have had a bad relationship. In the past recent centuries Russia has been the oppressor of Poland. It seems to me that this is up to Russia to take some steps. There are still a lot of things about events that occurred during World War II that have not made their way out of Russian archives yet. The Kremlin leaders have been pretty good at using these recent anniversaries of World War II: the opening of the World War II, Hitler-Stalin pact, Katyn – but there is a lot more coming up, for instance, the Warsaw uprising in 1944, where there are a lot of questions that Russians should move to answer for the Polish. This laid to rest the ghost of history will do much to improve relations,” concludes Weir. ­Anton Bespalov, a political commentator on the Voice of Russia radio station, says some Poles still share suspicions that President Lech Kaczynski was assassinated in April 2010’s air crash, in a plot by the Russian government and Polish PM Donald Tusk. These views are supported by just a minority, but the moods are still exploited by some officials for their political games inside the country. “The results of the investigation by the Russian Interstate Aviation Committee are recognized to be true and consistent with the facts. The Polish side says not all the facts have been included into this report. I think the assassination version is not likely to emerge in the future on the Polish-Russian official level, though it will remain a significant factor for the law and justice party that is trying to challenge President Komorowski, and even more for Prime Minister Tusk. So I think there is a chance the two sides will agree on it, though it is going to be a hard way,” said Bespalov. ­Nina Bachkatov, Professor at Liege University and an expert on Russia and Eurasia, believes that 2010’s tragedy made Russia and Poland see each other differently.